Croatia is full of Islands to discover, there’s no denying that. With over 1200 to choose from, the crème de la crème of all has got to be the Island of Hvar, also referred to as #SuncaniHvar meaning, Sunny Hvar. With clever branding and use of the tagline, “One Island, One Thousand Reasons to Visit,” Hvar is considered the sunniest Croatian Island and Town of Hvar is celebrating over 150 years of organised tourism! The Island of Hvar is rich in history, architecture, culture and has the gastronomy to match. Whether you’re looking for lavender fields, olive orchards, vineyards or just some vitamin sea, there is a lot to do and see on island of Hvar. The two most popular cities, Stari Grad and Town of Hvar both have a lot to offer, however on opposite ends of the spectrum in terms of holiday styles. I explain why below. 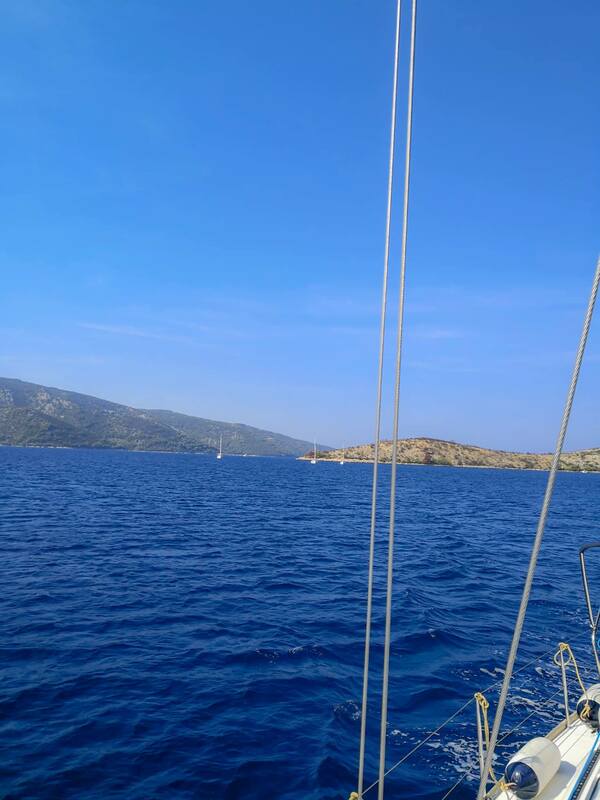 I had a “Komiza” moment as we slowly sailed towards the Stari Grad marina on Island of Hvar. What this actually means is that the town simply took my breath away, the way Komiza on Island Vis did when I first arrived in June this year. It was my first visit to Stari Grad, my second on Island of Hvar. Two summers ago I booked my holiday on the island with my best friend to Stari Grad but was quickly informed to change it to Town of Hvar because Stari Grad was not the type of holiday we were looking for. It makes more sense now. Stari Grad is tranquil, modest and a couple of steps slower. Town of Hvar is a touch faster, busier and openly opulent. Island of Hvar is full of surprises, one being Tiha Lounge Bar, easily accessible by boat and about an hour away from Stari Grad. You can get there by car and it takes approximately 30 minutes. Tiha Lounge Bar looks like a children’s adrenaline park from a distance but as you get closer you notice this piece of paradise is the perfect summer hideout for adults. Complete with floating unicorn and lounges overlooking the calm sea Tiha Lounge Bar is a must see. Unfortunately when we arrived with our sail boat the owner had already shut for the season and mentioned that is wife had packed away most of the “things” by this I assume alcohol. We’ll be back next summer. 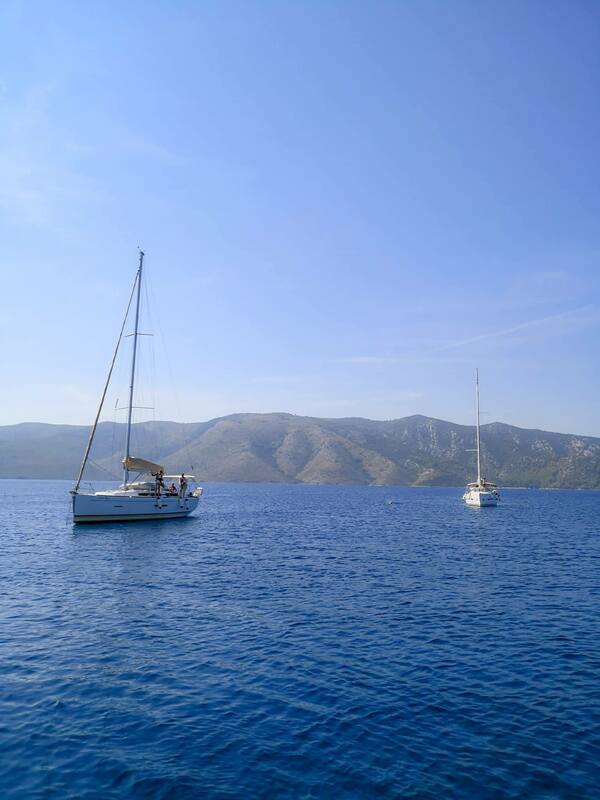 We managed to dock our sailboats less than 10 minutes away from Tiha Lounge Bar and found a secret beach. Behold, there are thousands of “secret beaches” in Croatia, you just need to ask someone familiar with the seas. This was also where I got a little wet. For me to jump in the open sea, you know the water must be good. This was the first and only time I got into the water the whole trip because the weather dropped down far too many notches throughout the week. Croatia’s crystal clear blue waters prevalent, oh how I love this country and am proud to call it home. 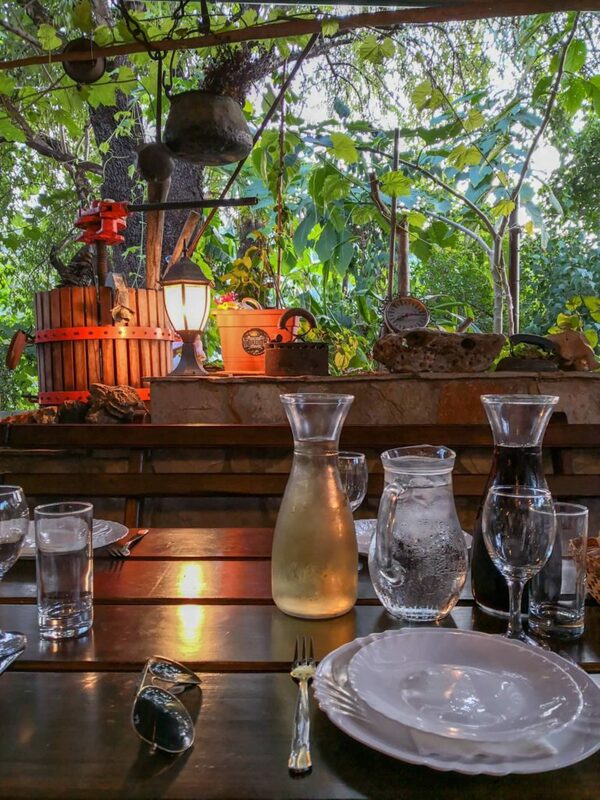 Island of Hvar has no shortage of fine dining and gastronomy, while there are no Michelin Starred restaurants on the island, there is one that made it on the Michelin Guide in Stari Grad, Apolon. We had lunch at Kod Barba Luke, a stone throw away from Apolon and the marina. Here’s the thing about how Luka and I select restaurants, we’re all about presentation and top reviews and don’t care much about the price tag (within reason). Yes, typical Gen-Yers, I know. If we had to personally choose where to eat in Stari Grad, I would have found Apolon online, seen the Michelin Recommended tag, booked a table and I’m pretty sure it would have been an excellent experience. I wouldn’t have considered anything else. 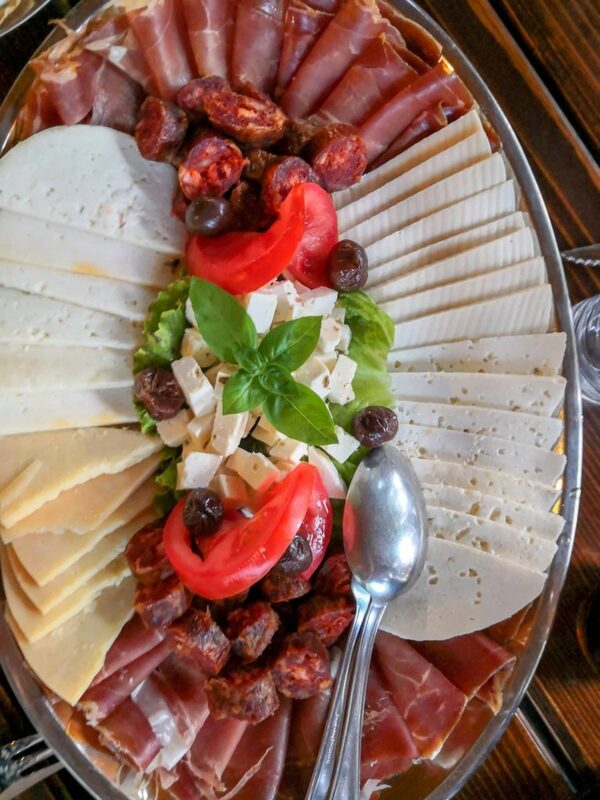 However, on tour with Croatia Full of Life and recommended by Hvar Tourist Board, Restaurant “Kod Barba Luke” was where we had lunch and I literally cannot get the experience out of my head, no exaggeration. 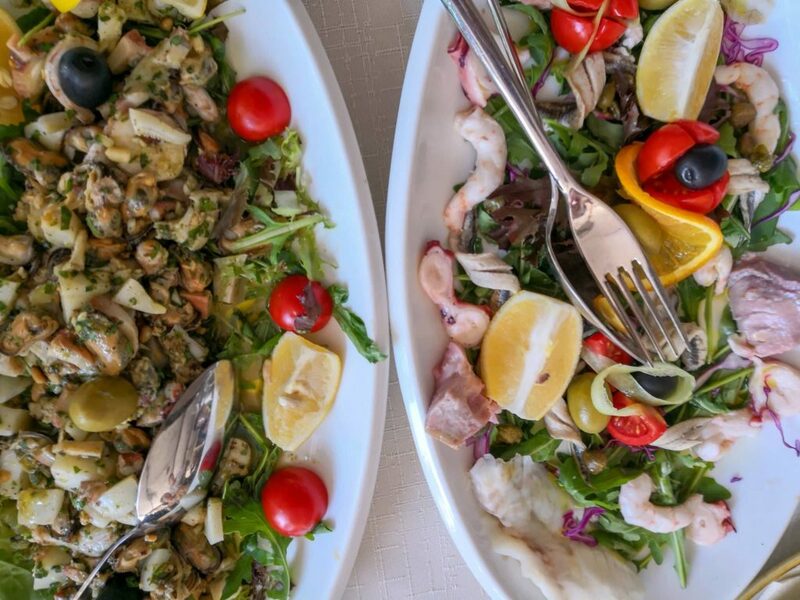 We started with two types of seafood mezze plates. Both winners, but I must mention that one stood out. 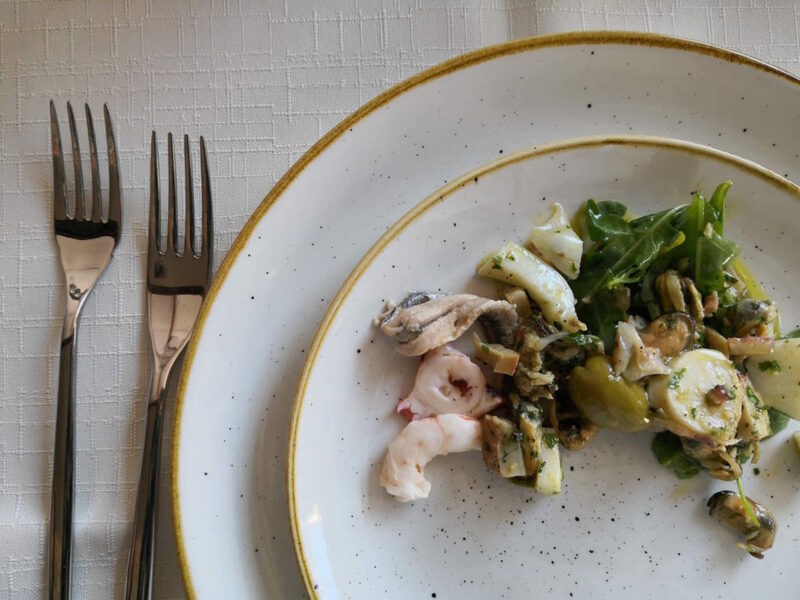 The platter with squid, muscles, bits of octopus, lightly seasoned and drizzled with roasted pine nuts was excellent, so excellent that we requested the plate from the bloggers table who were not too interested in the seafood. 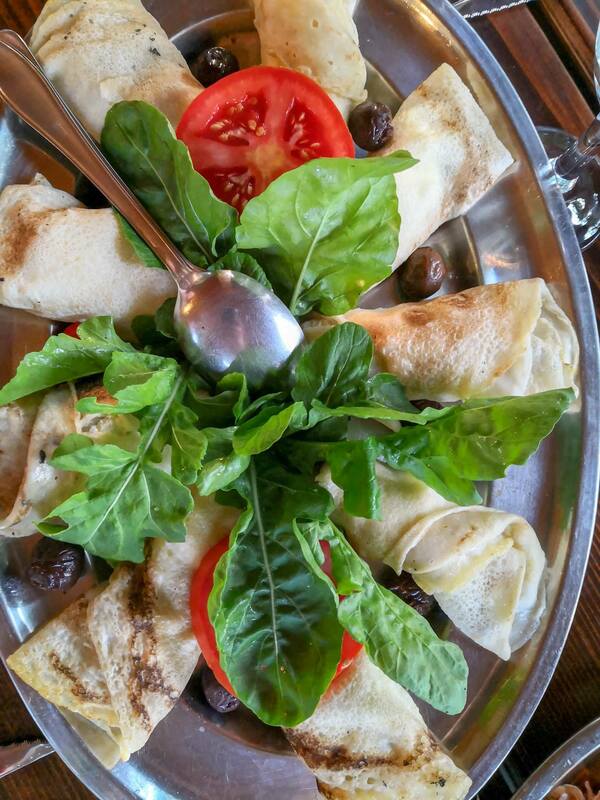 Here’s the truth about Kod Barba Luke, although our starters were everything Dalmatia represents in gastronomy, fresh, simple and delicious- the real game changer is their hand-made ravioli. Now, I’ll be honest, I’m not the first to put my hand up and order ravioli when I eat out at a restaurant. If I am in Dalmatia, I’ll usually order something seafood related, I’m simple like that. We were offered two types of ravioli to try. Below is the ravioli with fish, eggplant, dried tomatoes in a cream sauce. I didn’t try it because I loved the second option too much, my husband began to question if he really even knew me after all. Growing up my mother couldn’t really get to eat my greens, if only she knew this recipe. 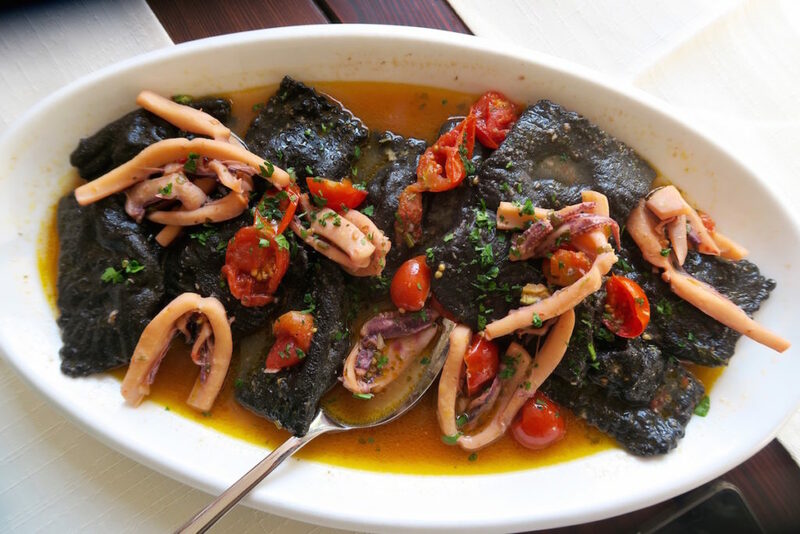 I personally couldn’t get enough of the black ravioli stuffed with broccoli and fish, marinated with cherry tomatoes and pieces of fresh octopus. Torn between the texture and the taste, I was happy to be left in my lonesome wondering what I had against ravioli after all. I just remember my husband Luka saying, “I don’t want to leave this restaurant, ever. This is the best mouth full of food I’ve ever had in my life.” This is a big thing to hear considering Luka is literally a master chef himself, what a compliment. Just when I thought things couldn’t get any better at Kod Barba Luke, we were presented with dessert. You’re all aware since getting sober my sweet tooth has been in full swing and who am I to say no to a cake, right? “I’d like to you stay here and learn how to make this cake,” my husband tells me. 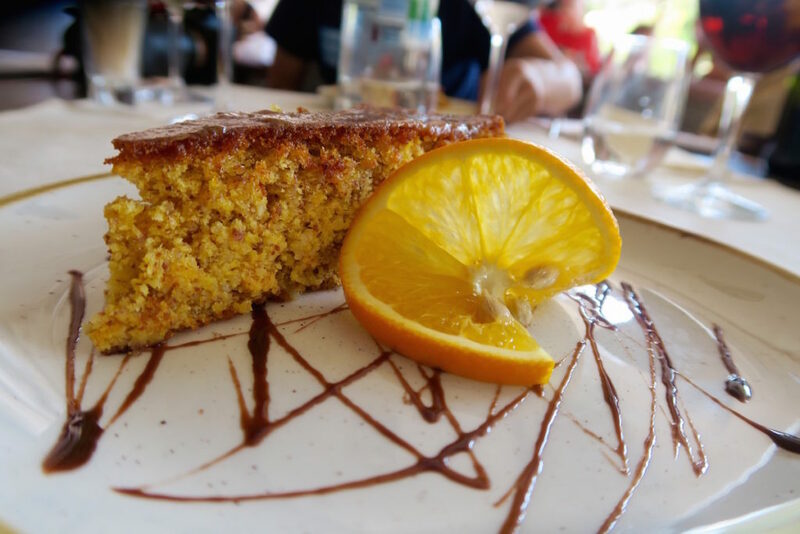 I don’t know if I could ever replicate this wild orange sponge cake so I tell him to keep on dreaming. However, I’m happy to stay on Hvar. The AK verdict for Kod Barba Luke? 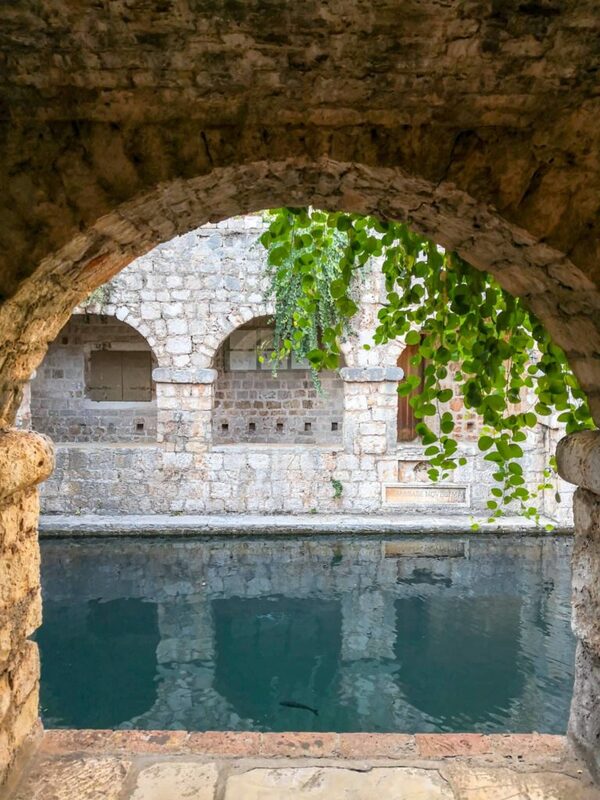 Can you believe that Stari Grad on Island of Hvar is over 2400 years old? Stari Grad was once a Greek colony founded by Pharos and desirable due to it’s fertile land. Following lunch we went on a walking tour and were shown around the old town, first stop was Tvrdalj Castle (Petar Hektorović Castle). Look, it takes for a building to blow me away architecturally, Sargrada Familia in Barcelona is still number one for me in the world. 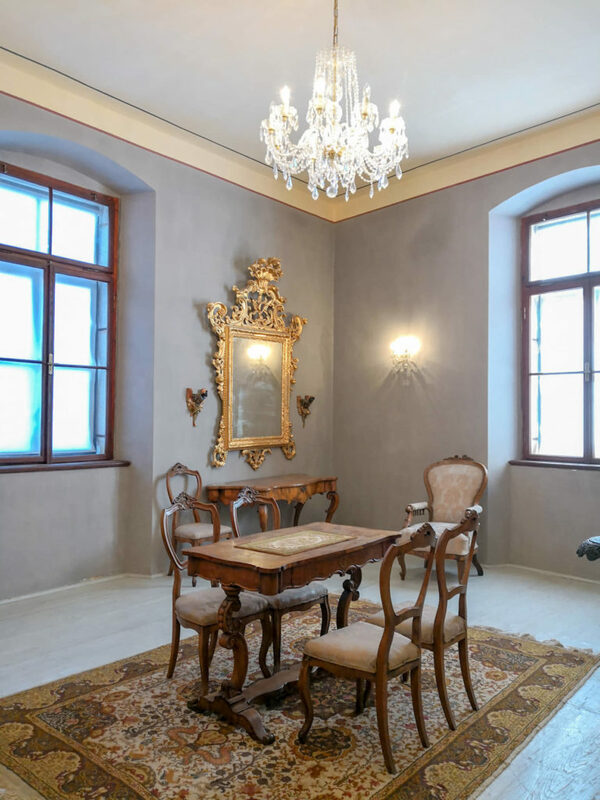 Tvrdalj Castle is now in my Top 5, so much so that I told my husband that we will replicate this home design when we build our dream house in Dalmatia. Equally in awe with the castle and structure, he agrees with me. Tvrdalj Castle is open to the public, so you’ll be able to visit too and get a glimpse of what I’m on about. Petar Hektorović was a famous Croatian writer who was born and died in Stari Grad, Hvar. His castle is the most famous building in Stari Grad and entry can be found at the main square where you’ll also see his monument. He spent his whole life building this castle and left it to his heirs when he passed away. The castle features a fish pond, with hundreds of fish swimming inside and portico surrounding the pond before extending into a very leafy backyard, perfect setting for a creative thinker and poet. Inside on the walls of the home are many inscriptions, one a relevant reminder for even modern day, “Remember that neither riches nor fame, beauty nor age can save you from death, which takes all.” We spent at least 45 minutes here, totally in awestruck with the architecture and design. Our next stop was visiting Palača Biankini, Stari Grad Museum in the next building over from Tvrdalj Castle. You could easily spend a couple of hours here as the museum is spread out over several floors and also hosts many exhibitions on the ground floor. On our visit there was a exhibition for the history of sardines which may not sound too interesting but it was well executed. 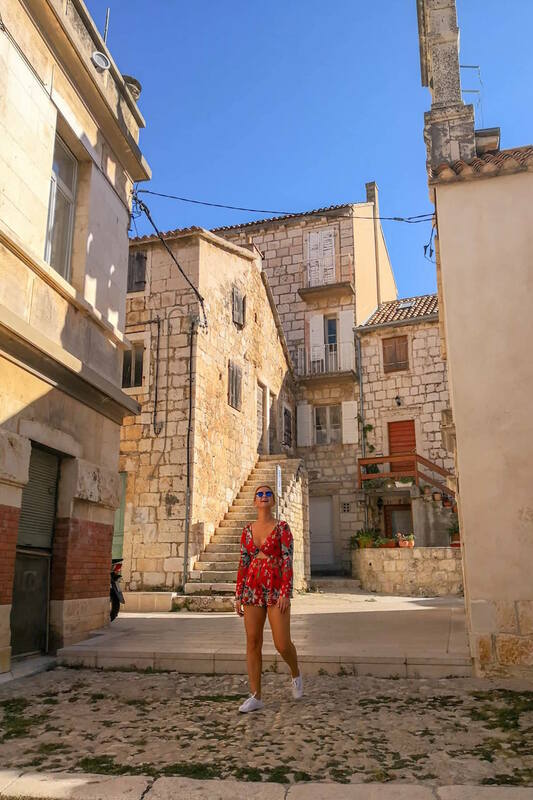 After Stari Grad Museum, we went for a wander through the cobblestoned streets, everything about Stari Grad in Hvar is very rustic chic and authentic. My husband mentioned that he already loved being on the island and wanted to spend more time here in the near future. There was something honest about Stari Grad, perhaps because I had already experienced Town of Hvar I could feel the difference. Maybe because I am a local in Croatia and not a tourist, I understand the value of money in Croatia and how much things should “really” cost. That’s probably why I don’t identify so much with places like Town of Hvar, I am simply tired of overhyped cities that cost a fortune to visit. Time flies when you’re having fun so before we know it, it’s time to eat again. We took a bus to Dol to get to Konoba Kokot, it’s about 10 minutes or 2km away from Stari Grad and I wouldn’t recommend walking to get there. 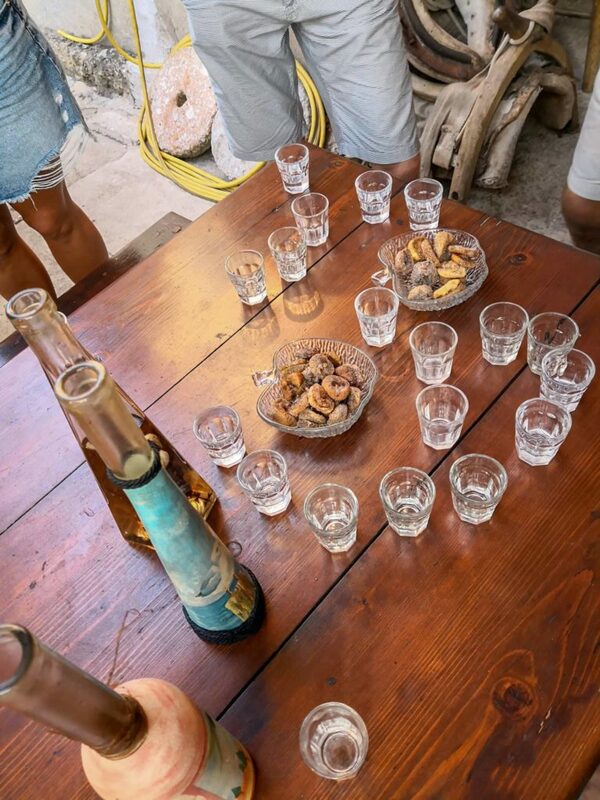 At Konoba Kokot we’re greeted with what else, but 3 types of rakija, figs and home made wine. I, of course must opt for the mineral water. Fun times. I see Luka and Yuya go in for seconds of the rakija so it must be good. 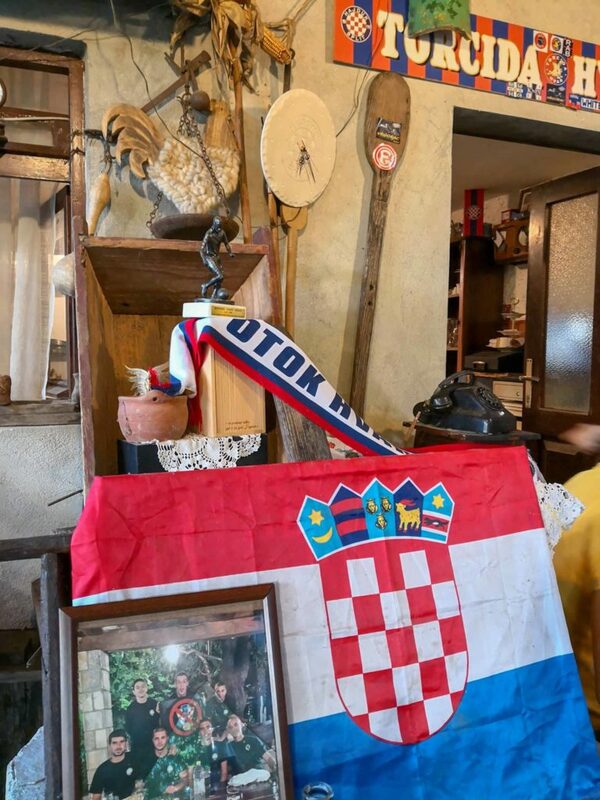 As a side note, are you even in a Dalmatian restaurant if you don’t see a shrine to Hajduk? You can imagine my husband Luka felt right at home. Popular photographer Yuya Matsuo also came out as a Hajduk supporter. Ask me at the age of 8 to eat asparagus and I probably would have found a way to cry my way out of it. If only my mum wrapped it in some pancakes, maybe I would have resisted a little less. For starters at Konoba Kokot we had asparagus pancakes, yes literally and they were so tasty that I had seconds. Followed by a plate of local prsut, soft goat’s cheese and smoked sausages, sprinkled with olives. At Konoba Kokot we had famous local Dalmatian dish, octopus peka. Peka is a local and traditional way of cooking seafood or meats, under a large metal bell by an open fire. Seafood or meat is usually served with vegetables, in this case we had potatoes that go perfectly well with octopus. If the octopus peka is overcooked, it can taste really hard and dry, ruining the whole experience. Unfortunately I had this experience last year and haven’t ordered octopus peka since however, at Konoba Kokot the octopus peka was tender and sweet, cooked perfectly.